The selection of Irish teams to compete in major races at home and abroad has often been controversial, with too few places to accommodate all of those in the reckoning. However, Cycling Ireland has now moved to open up the selection process for the Irish junior and U23 high performance set-up. 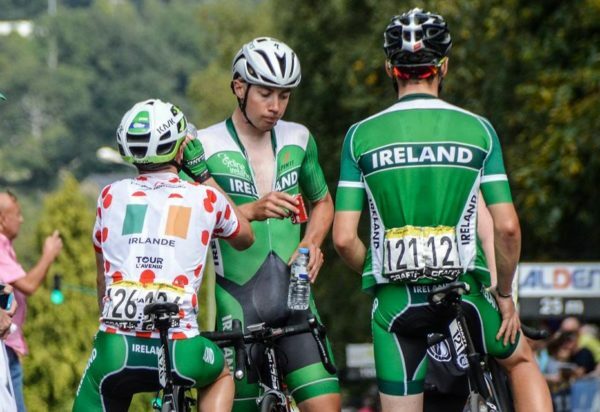 Cycling Ireland has taken the welcome move of opening the selection process for national junior and U23 reams. Riders who want to be considered for the road and track panels are now being invited to submit an expression of interest. It means any cyclist interested in riding for Ireland and feels they have the ability to secure selection can effectively put their name forward. In the past the selection process has been criticised as closed and lacking transparency. This latest move by the national governing body will be seen as a positive step. Before each season starts squads of road and track riders are selected, from which national teams are then picked for various races. Those who make the squads before the racing season begins are often taken to warm weather camps. This is perhaps understandable from the federation’s perspective. It enables riders to get to know each other, introduces them to the expectations and values associated with representing Ireland and also allows the federation to take a close look at their condition. However, it does create a perception that selection is something of a closed shop, even though riders not included in the national set-up early in the season can be included in Irish teams as the season progresses. There was also controversy last year when some riders who expected to be picked for the World Road Championships were overlooked. However, opening the selection process means that, at the very least, those who believe they are good enough to be considered for selection will be looked at. Cycling Ireland has now published a call for expressions of interest, from male and female junior and U23 riders. It says successful applicants may be required to undergo testing and screening. The application form also asks riders to list their results from last year. It also asks cyclists to state their goals for this year and any further relevant information, such as power files and their coach’s details. You can find further information and an application form by following this link. The expressions of interest are being sought from riders who are not already included in the national junior and U23 squads.